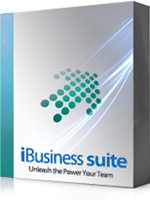 iBusiness Suite TM - is a core Trading Management ERP software solution to manage all functional activities of trading business. That includes Stores and Purchase, Inventory management, Stock Transfers, Billing and Collections, HR, Financials etc. The single enterprise resource planning software can manage the chain of outlets which may be distributed across various geographical regions. 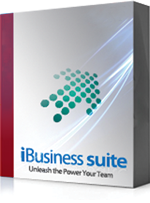 Being a centralized application support both wholesale and retail.Differentiate your wholesale distribution business – no matter its size – with iBusiness Suite ERP helps you proactively understand your customers' product and service needs. Plan, source, stock, sell, recover, and analyze – all on one unified IT platform. And follow insight with flawless execution to achieve operational excellence, profitable growth, and improved cash flow. Get the support you need to better manage your projects, equipment, workforce, and financial operations – and make more informed decisions quickly with access to real-time information. And it gives complete control over the branch operations like easy stock transfers, authenticity, and accountability of stock. Our ERP system provides an end-to-end solution that organizes and controls every aspect of the business from order management, operations, supply chain, and logistics, to documentation, accounting, and business intelligence reporting. iBusiness suite Trading ERP help to track the work-flow of various departments and get complete visibility into the all-important process, across various departments. It supports multiple points of sale (POS/ VAN Sales) interfaces that can be adapted to meet unique requirements.